Obama may have declared our country the Land of High-Speed Rail last April, but here in California, we promised back in November 2008 to raise more than $40 billion to fund a massive high-speed network running from San Diego to the Bay Area. Obama may have declared our country the Land of High-Speed Rail last April, but here in California, we promised back in November 2008 to raise more than $40 billion to fund a massive high-speed network running from San Diego to the Bay Area. 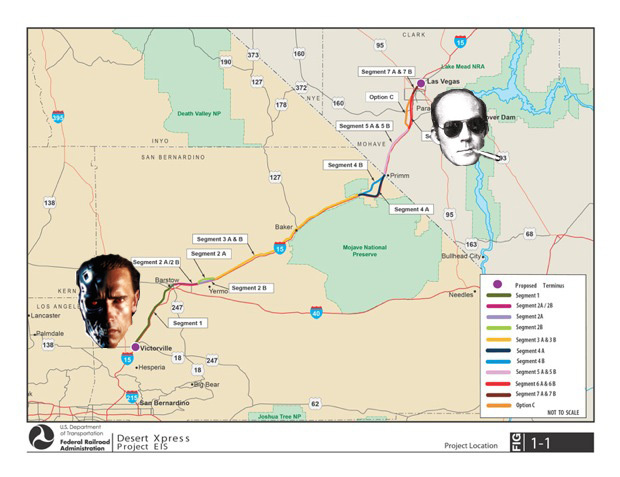 But that didn’t include an all-important spur for one of the most heavily traveled routes in the state: One third of Las Vegas’ 38 million annual visitors are Southern Californians who drive the four-hour route up I-15 in heavy traffic clogged by drunken bachelor party caravans. 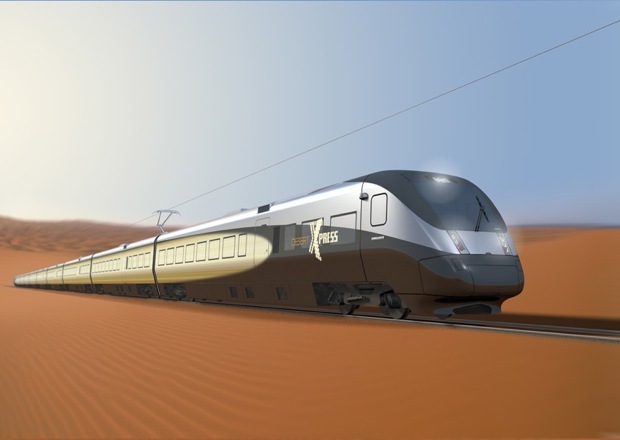 Enter the DesertXpress, a $4 billion high-speed train that plans to break ground this fall, traveling from Vegas to…well, not quite L.A., or Anaheim, or even San Bernadino. It will terminate in Victorville (pop. 107,720), a city that’s located a full 100 miles from Los Angeles and possibly best known as the film location for Terminator III: Rise of the Machines. Angelenos will have to take one train to Palmdale, then travel on another not-yet-planned route from Palmdale to Victorville before they finally board the final leg to Vegas (although planners assure us that the trains for all routes will be interchangeable so you might not have to switch trains). Still, though, that will hardly be convenient for anyone who needs to get to a slot machine by sundown…what gives? A look at the fancy new station planned for Victorville was like a tip of leaders’ hand–this is an economic full house for the small California city. But the biggest issue might be securing the right-of-way into Los Angeles–negotiations for a route get significantly more dicey once you enter its more populated Inland Empire. Either way, it seems like it’s as sure a win as a royal flush, at least for gamblers in the greater Victorville metropolitan area. Plans for this train are full-steam ahead, with groundbreaking planned for later this year and completion expected by 2014.